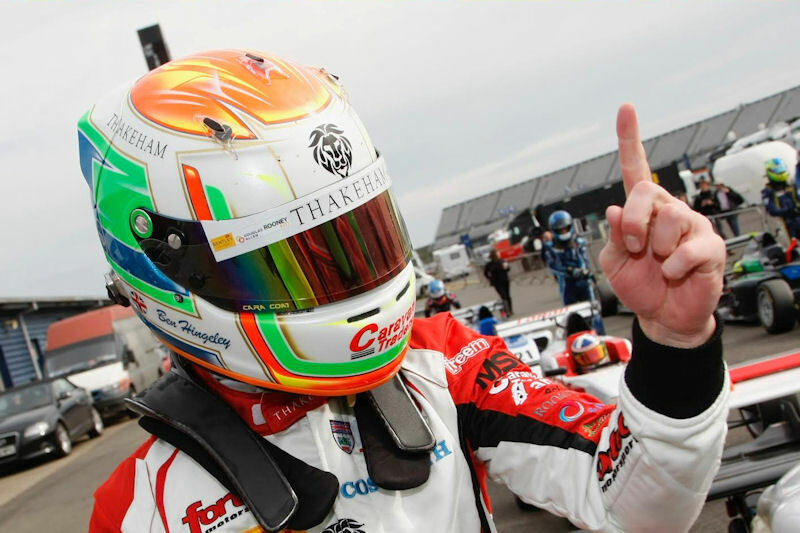 This weekend saw round 4,5 and 6 of the British F3 championship at Rockingham circuit. Ben qualified 3rd after a red flag brought the session to an early finish. Race 1 – Starting P3, A first corner incident dropped Ben back to fourth. He maintained position to gain valuable championship points and 2nd fastest lap of the race. Race 2 – Starting 5th for the reverse grid start, A first corner incident between Chadwick and Pull caused damage to Ben’s floor tray. He still managed to slot into 4th but a loss of downforce meant he couldn’t progress further. More solid 4th place championship points. Race 3 – Starting P2, As the lights went out Ben slotted in behind Cameron Das before a safety car was called due to an incident on track. At the restart Das tried to pull away but Ben seized the opportunity to throw his car down the inside at the hairpin and took the lead. Ben was leading when yet another safety car was called. This time it was Ben who had to control the situation making the perfect restart. He continued to the chequered flag to take his first F3 victory.